Posted on Fri, Feb 24, 2012 : 12:08 p.m.
Molecular Imaging Inc. operates a facility on Technology Drive in the Avis Farms office park in Pittsfield Township. Pittsfield Township-based startup Molecular Imaging Inc. has secured $2.85 million in additional venture capital to go along with $7.05 million it had already raised to expand its contract research business. The company announced today that it had finished its Series A financing round, or its first venture capital round, with a total of $9.9 million in venture capital, topping its goal of $8.5 million. Molecular Imaging landed $2.5 million from the InvestMichigan! Growth Capital Fund, which is being partly managed by global investment firm Beringea's Michigan office. The company also received $350,000 in new funds from previous investors Baird Venture Partners and Invest Detroit. The startup had already secured more than $7 million from Baird, Arcus Ventures and Invest Detroit. The very existence of Molecular Imaging is a bit of a paradox. The company launched more than a year ago after Massachusetts-based Charles River Laboratories shuttered Pittsfield Township-based MIR Preclinical Services in a corporate restructuring move in November 2010. After Charles River's exit, entrepreneurs and investors collaborated to launch Molecular Imaging Research and even assumed the lease on the 22,000-square-foot Avis Farms building that Charles River left behind. 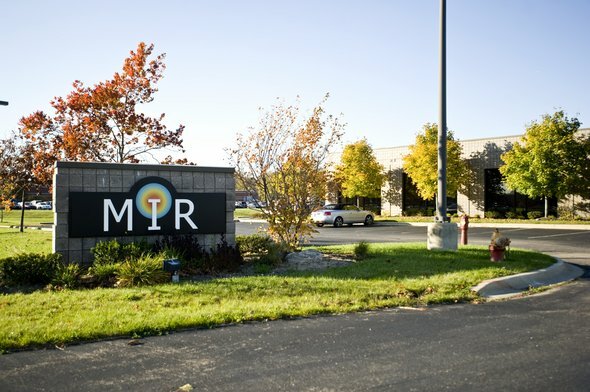 The new legal entity — officially called MIR Acquisition Inc. — is one of the biggest new recipients of venture capital in the Ann Arbor area. The firm uses a variety of imaging technologies, such as MRI and tomography equipment, to provide contract services to clients that are conducting therapeutic research. "We look forward to further advancing our efforts to grow and diversify both the imaging modalities and the range of disease models we offer to our customers," CEO Tom Ludlam said in a statement.